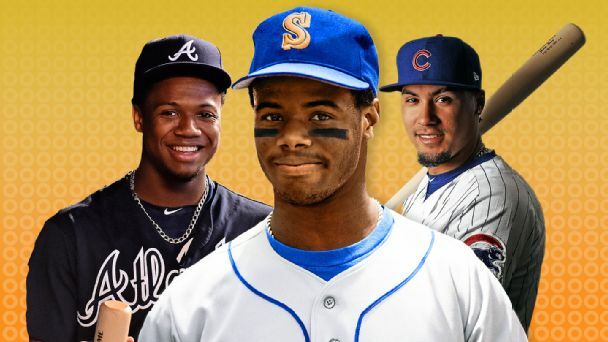 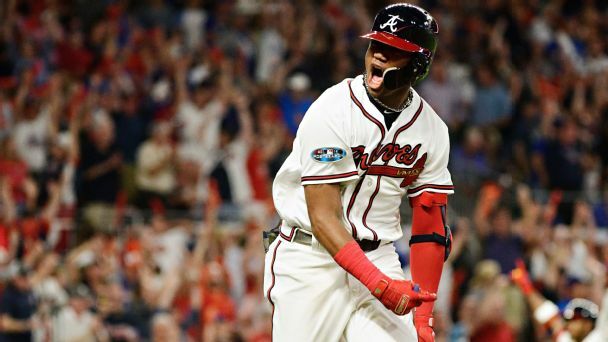 Braves outfielder Ronald Acuña Jr. was named National League Rookie of the Year on Monday following a season that saw him hit .293 with 26 home runs and 64 RBIs in 111 games. 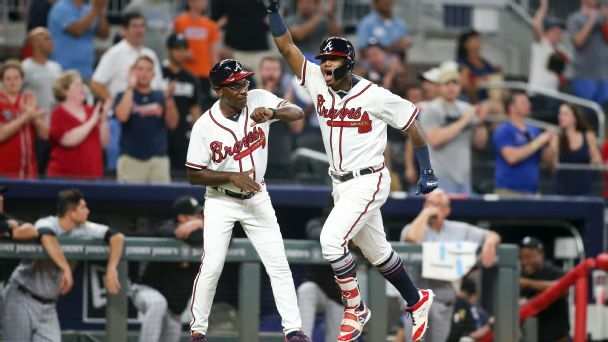 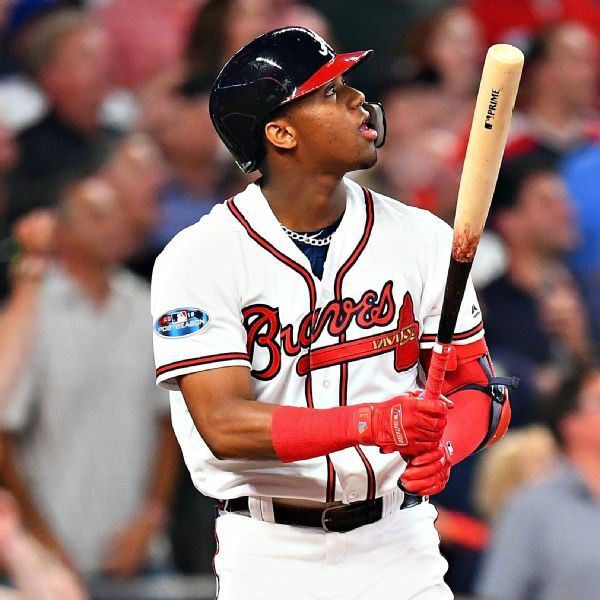 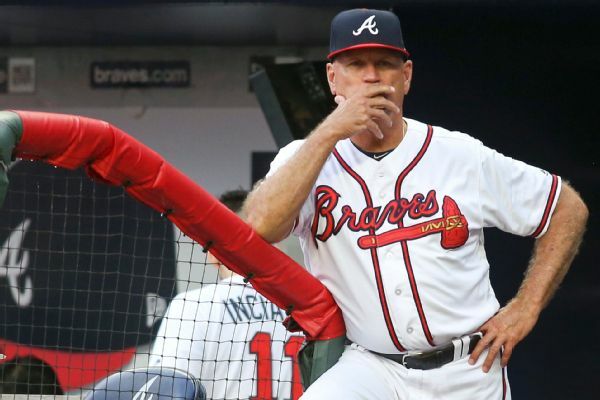 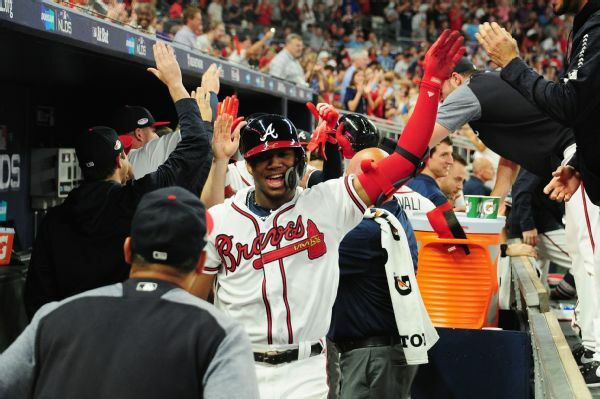 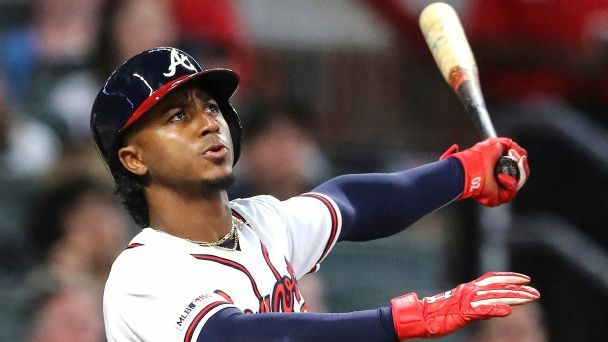 Ronald Acuna's grand slam not only kept Atlanta's season alive but also provided a reminder of how good he and his team should be in the years to come. 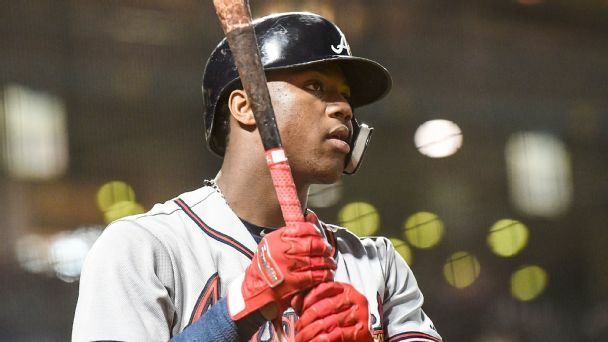 Atlanta Braves rookie Ronald Acuna Jr., 20, has become the youngest player to hit a grand slam in the postseason.